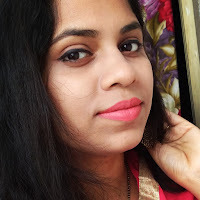 Hello everyone.. Hope you all have read my yesterday's post which was on the egg makeup brush cleaner .. 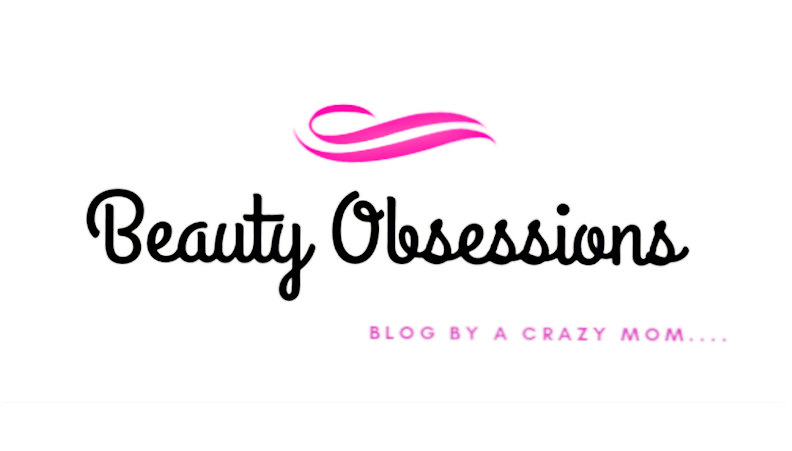 If you are following my blog since long ,then you might know i had done couple of hauls from Beautybigbang.com in between. Infact i am just blowing down by seeing their amazing makeup and nail collection.. Being a nailart junky ,i always looking for new new nailart stuffs and trust me beautybigbang is the perfect place to find anything related to nails ..
Well, i hope you might have seen my previously nailart tutorials using beautybigbang nail decorators.. Today iwill share another bunch of nail decorators which i have got from there.. 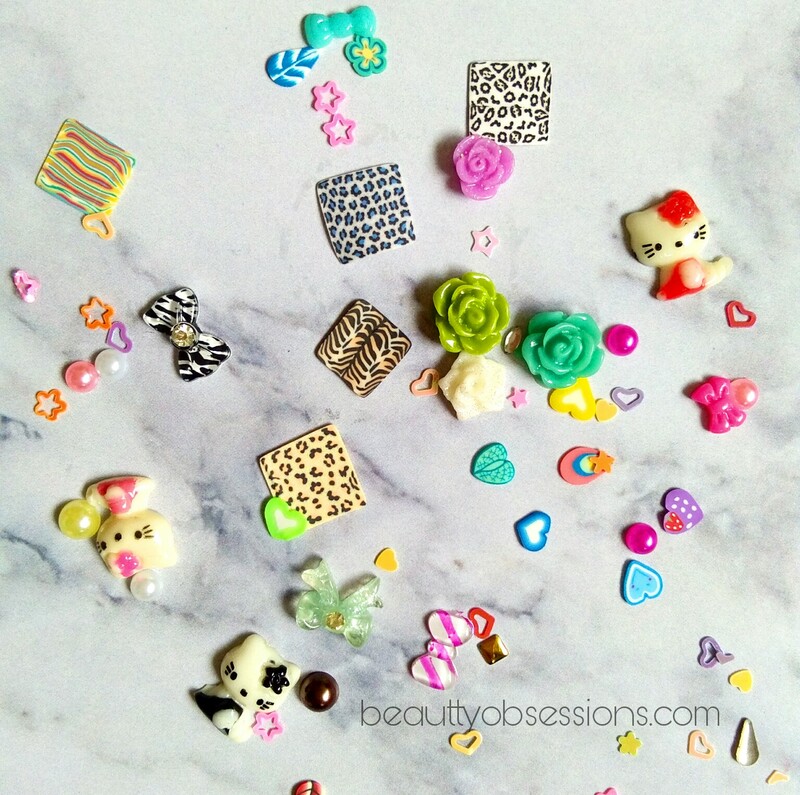 So lets get into the post and yes.. there is a nailart too using few of these nail studs .. 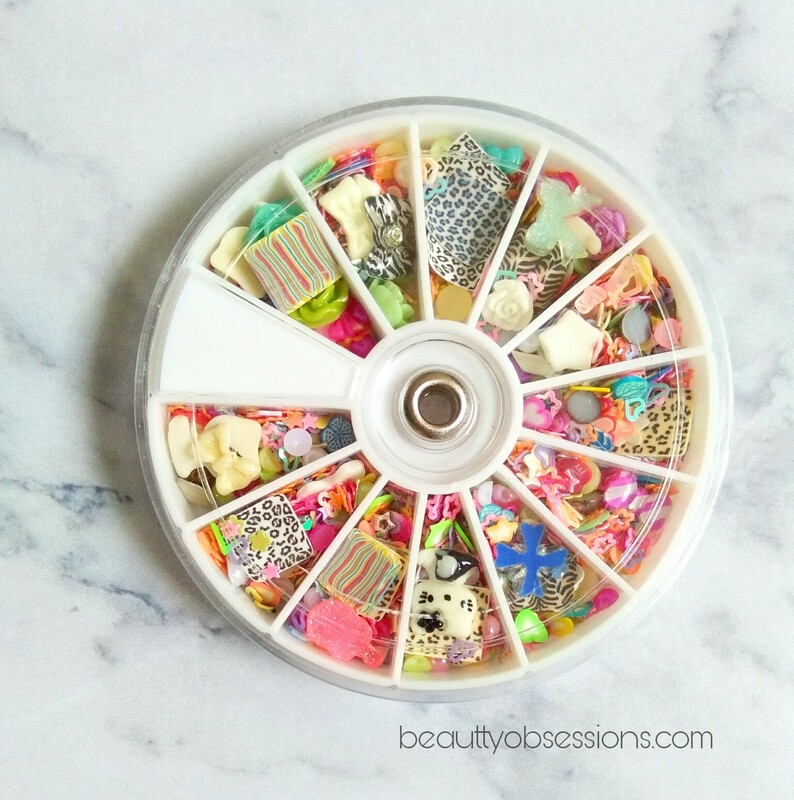 The Floral Slice Nail Decoration Wheel is for price 2.83$ . There are approximately 1200 studs in this wheel which is simply wow .. There are mixed designs and sizes nail studs in that wheel. 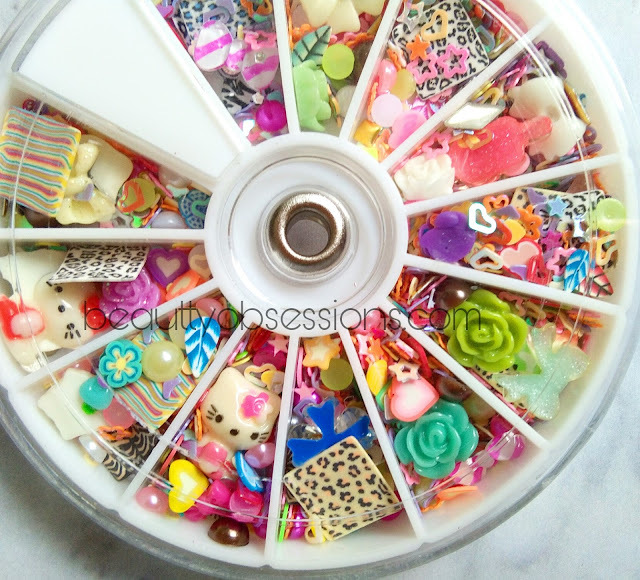 Flower slices, star slices, love slices ,animal print slices, shinning studs, 3D pattern rose flowers, bows,kitties , pearls,etc.. are inside the wheel. And the interesting part is all the designs and colours are different from each other.. 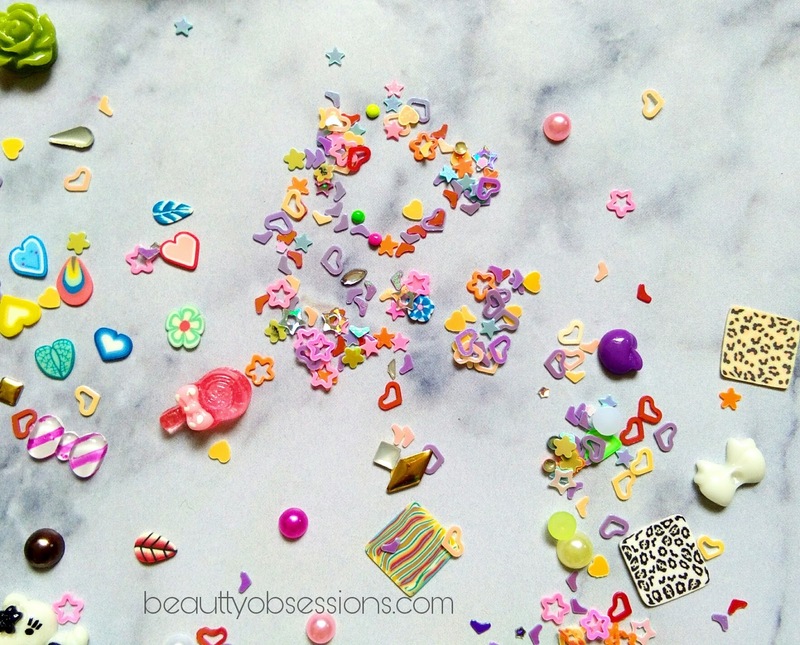 I am so excited that i can experiments so many looks with these beautiful studs.. Except nailart ,one can use these to decorate home walls , mobile cases , glass ,etc.. you just need a clear top coat to seal the decorators and that's all.. All the studs are of very good quality and doesn't look cheap at all. 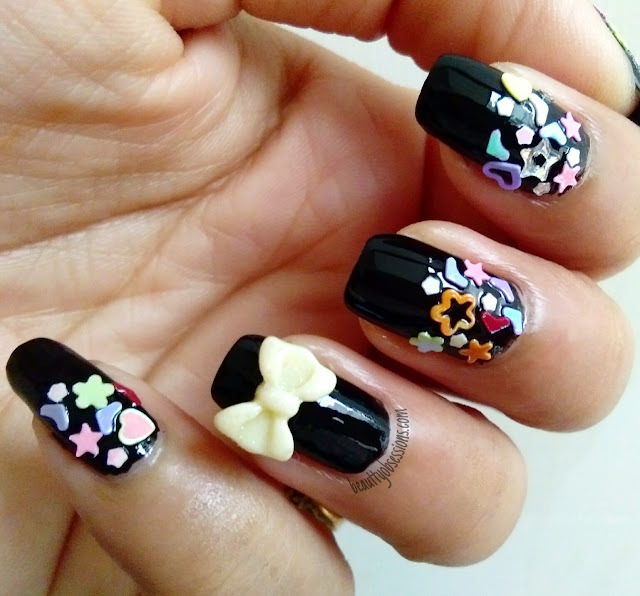 Now i have drawn a party nailart using these..
Hope you found this post interesting... See you in the next post... Till then bye.. I am instantly regretting my decision of getting my extensions removed and now have to wait for few weeks before I get new ones done. This collection is so hip! Love your nails. The stars and bow are so damn cute. 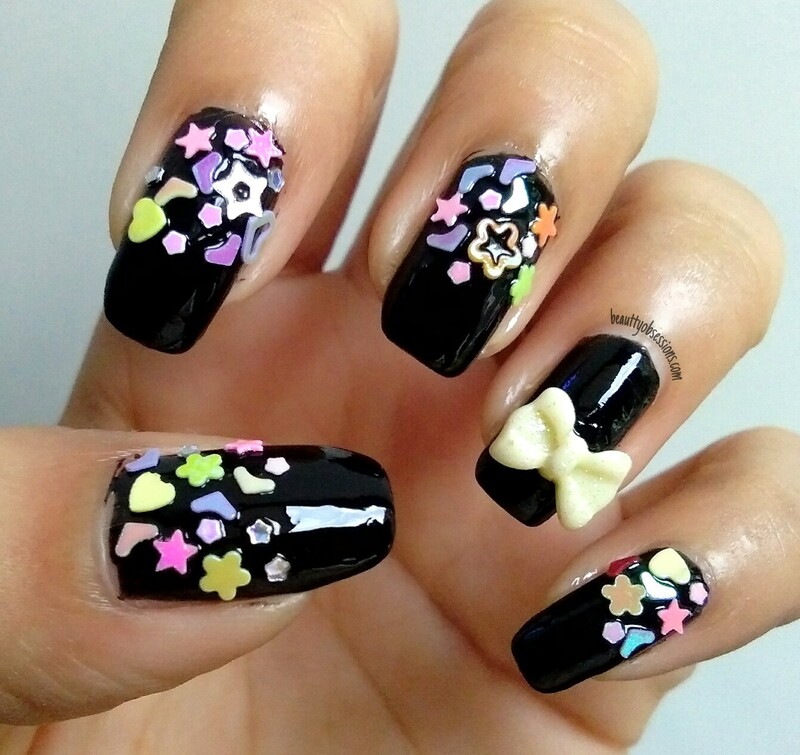 Very pretty nail art. Such adorable studs!! 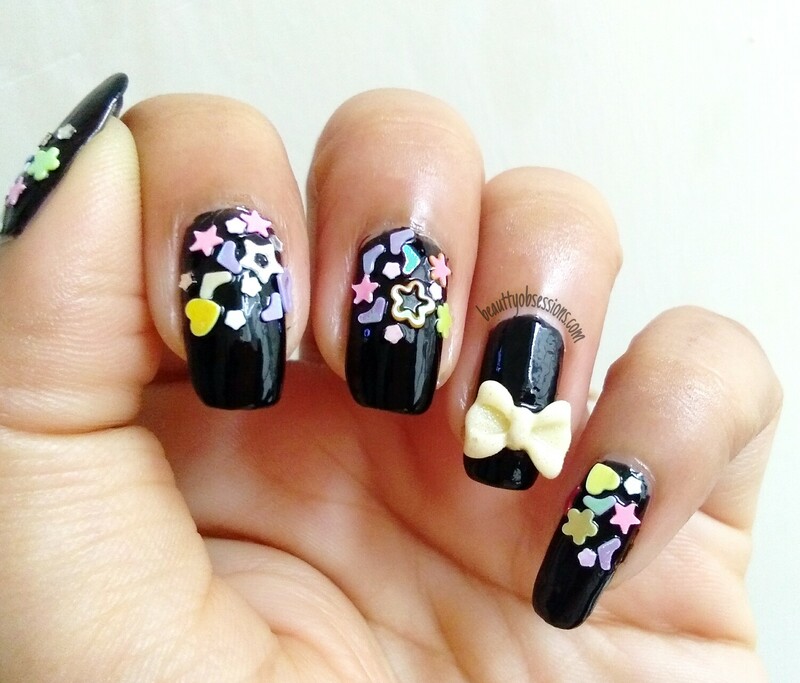 All your nail art makes me want to get it done for me too!! The Nail art looks amazing. 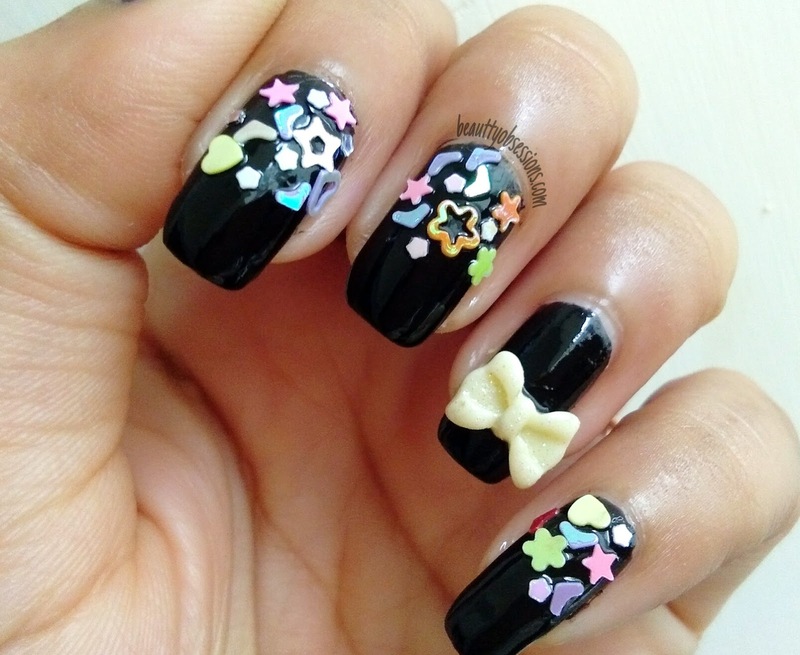 I love following your nail art work. They are so cute. Omg ! This is so cute! I have to buy this decoration wheel !